W. W. Norton & Company, 9780393070200, 304pp. After losing her infant daughter in a freak accident, Maya Lange opens The Red Thread, an adoption agency that specializes in placing baby girls from China with American families. Maya finds some comfort in her work, until a group of six couples share their personal stories of their desire for a child. Their painful and courageous journey toward adoption forces her to confront the lost daughter of her past. Brilliantly braiding together the stories of Chinese birth mothers who give up their daughters, Ann Hood writes a moving and beautifully told novel of fate and the red thread that binds these characters' lives. 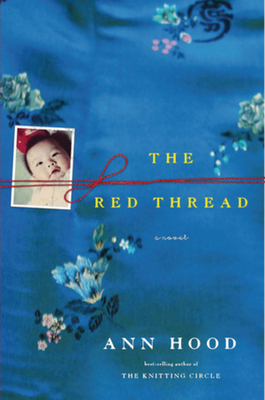 Heartrending and wise, The Red Thread is a stirring portrait of unforgettable love and yearning for a baby. Describe how each of the characters reacts to the idea of adoption. How are they similar? What makes them different? How does Maya deal with the loss of her daughter? How does her reaction affect her relationships with and opinions of others? How does Maya’s confession to Jack change her interactions with the people around her, particularly her coworkers? Flowers are a prominent motif throughout The Red Thread. Discuss the significance of this. Many of the characters have habits that help them cope through tough situations. How do these habits help or hinder them? Compare and contrast the American couples to their Chinese counterparts. A red thread is said to connect mother to child. Do you think there is also a connection between the expectant mothers at the Red Thread Adoption Agency? What do you think about Brooke’s decision? How do you think this decision will affect her in the future? Does it change the way you view the rest of the characters? Compare and contrast the babies’ Chinese names and their new American ones. How do the names fulfill the hopes and dreams of the mothers, both Chinese and American? How do you think the new parents will deal with the ethnic differences between themselves and their children? What types of things should they do to integrate themselves with their child’s Chinese heritage? What do you think will happen to each of the couples after the novel ends?